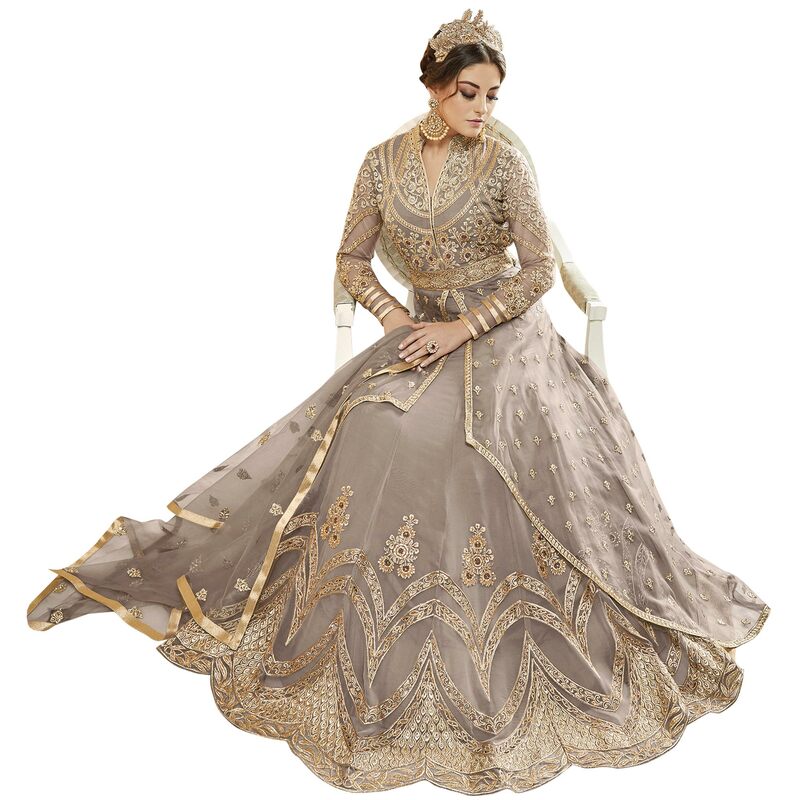 Appear stunningly gorgeous with this attractive gray colored floor length anarkali suit. 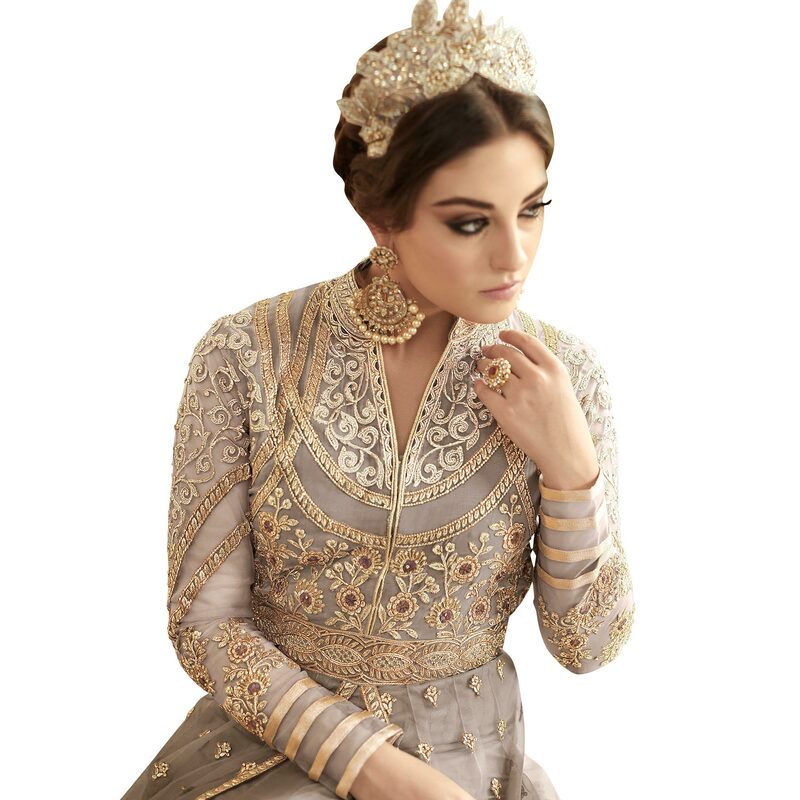 This faux georgette and netted fabric suit is stylized by beautiful zari and stone embroidery with flared. 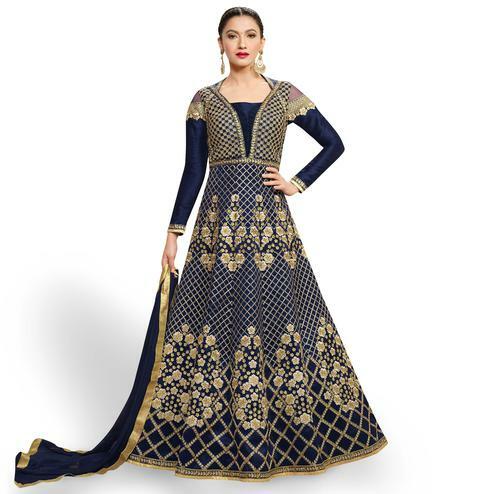 Comes along with santoon bottom and inner and embroidered netted dupatta. This semi-stitched suit synchronized well with the latest trend and style. 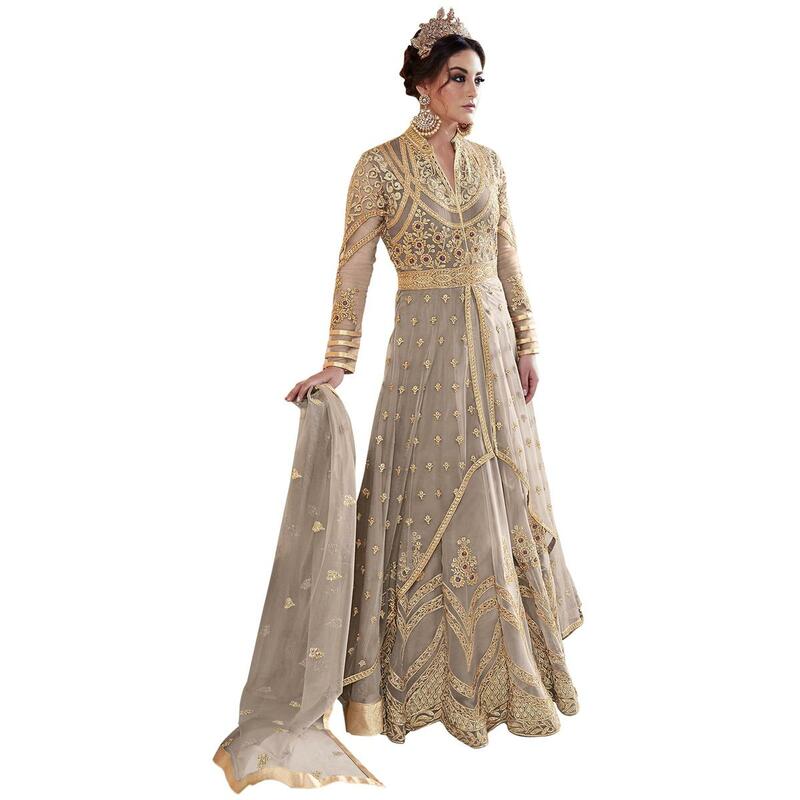 Specially designed to wear for parties, wedding, family occasions or festivals where you want to be center of attraction. Team this suit with classy accessories and high heel for a complete look. Get this suit now before it's gone out of stock. 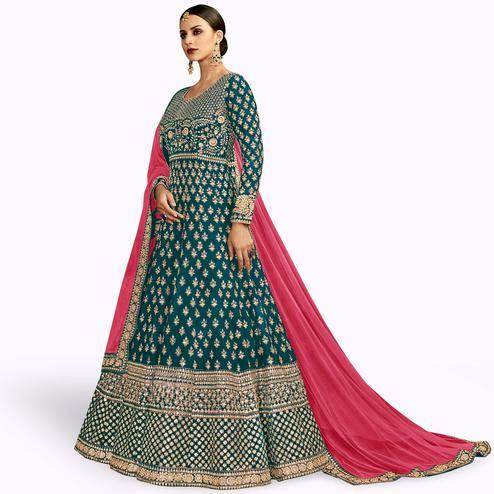 This party wear anarkali suit, it won't fail to impress everyone around you.